Does your map look as empty as this one? Visit one of the spots listed here for busier areas! On a hunt to “catch ’em all” in Edmonton? The Pokemon Go craze is still sweeping the world, as busy streets fill with Pokemon and popular spots are transformed into Pokestops or gyms. Visit one of these popular Edmonton attractions and improve your game by collecting items or battling for experience. Pick up the best new reads from Edmonton authors and some Pokeballs at this local bookshop and Pokestop. Most of the public art in this beautiful park—including the Vaulted Willow structure—have become Pokestops. The park also features two gyms! Check out one of the great festivals in the area, battle at the gym at City Hall, and also collect items at the surrounding Pokestops. 102 Ave. & 100 St.
Stock up on some of the finest foods and also Pokeballs, potions, and more at this Pokestop! No longer just a spot for politicians to battle over bills, Pokemon trainers are swarming the area to battle at the gym and collect items at the nearby Pokestops. Visit this Pokestop to collect some items, see a great film, and then—once the Pokestop’s reset—collect more items! 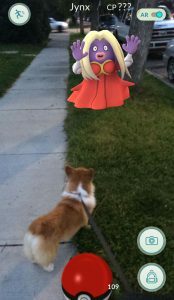 You never know what you’ll encounter while playing Pokemon Go! 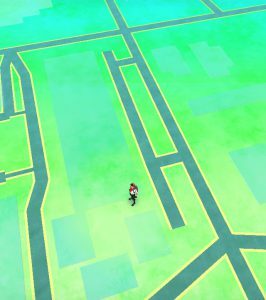 Enjoy the trees and blooming gardens on the gorgeous campus and check out one of its many Pokestops and gyms. Not only can you buy the coolest comics and collectibles here, but you can hang around and battle other trainers at this gym. As a large tourist destination, this expansive mall naturally features 22 Pokestops and 3 gyms! Always bustling with tourists, you can pick up some of the latest fashions at one of the many hip shops on the street and an egg or potion at some of the spots that double as Pokestops. For more spots in the city and surrounding area, view this map here.